Back in January, Google announced that it was opening up its Cast technology to speakers, with partners like LG and Sony integrating it into models later in 2015. Now that we are later into 2015, those speakers are almost ready for prime time. Last week, we saw LG announce Google Cast compatibility with their Music Flow speakers, and this morning, Sony announced their Cast-ready equipment as well. Sony is adding Google Cast to two of its sound bars and two of its receivers as well. 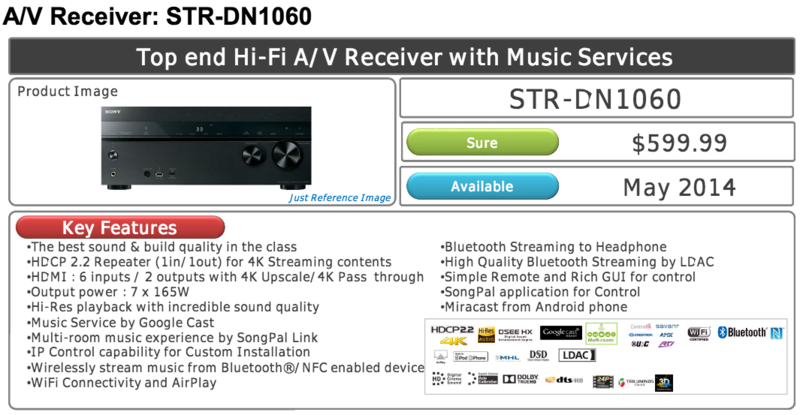 The speakers won’t arrive until June and July of this year, but the receivers should hit stores in May. 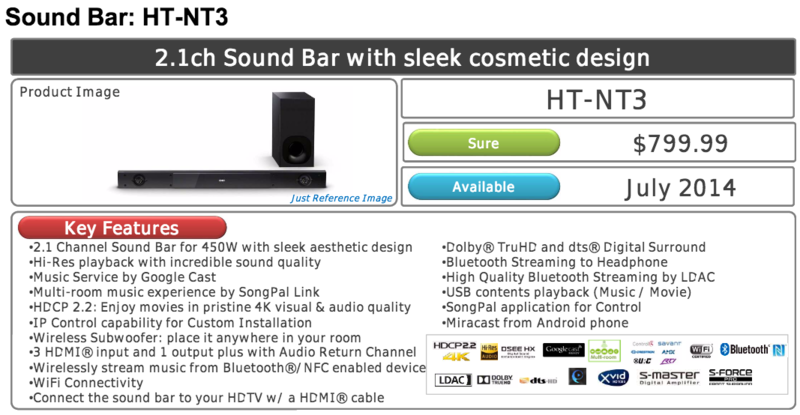 The two sound bars are the HT-ST9 and HT-NT3, priced at $1500 and $800, respectively. You are looking at either 7.1 or 2.1 channel depending on how much you want to spend. 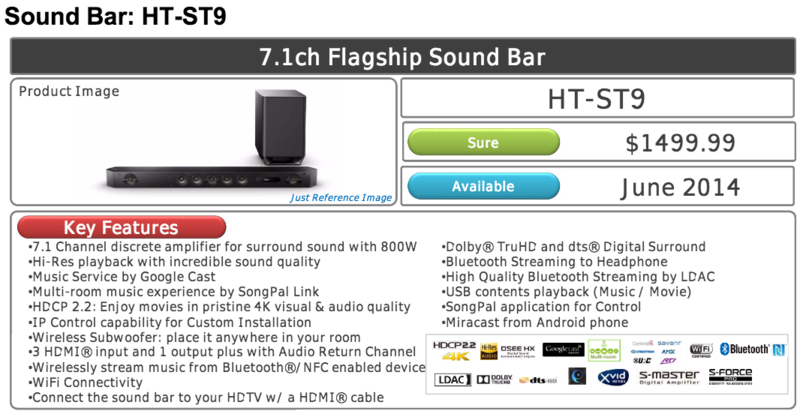 The speakers also feature WiFi connectivity, offer multi-room experiences, and connect to your TV with an HDMI cable. The full specs of each can be found below. 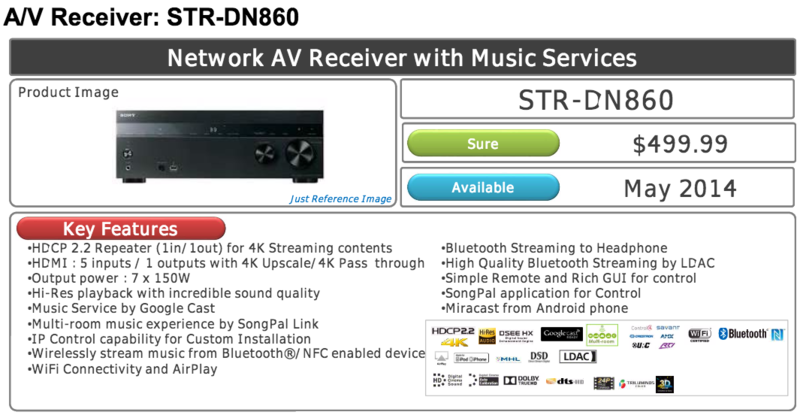 The receivers start at $600 (STR-DN1060) and $500 (STR-DN860). Their specs can be found below as well.